Mattroid Prime's Arcade Game Cabinets Collection - Collected It! I'm not really a fan of the multi-boards usually, but we found this cocktail for a really good deal not too far from us and had to pick it up. We've been talking about getting a cocktail for years but could never find one like what we wanted and most of the multi-board ones we've seen have had LCD screens in them and are $1000-$2000...no thanks. 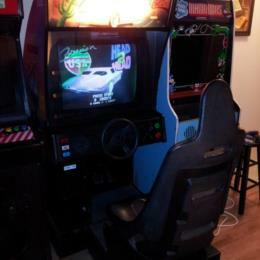 Everyone needs at least one driving game, I think. Since I still have limited space and because a sitdown driver can take up quite a bit of that limited space, I had to find a game that the wife would agree on. Cruis'n USA was always one of favorites, as it was one of mine, so this was an obvious choice. 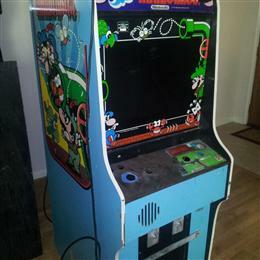 Picked this beat up Mario Bros. on Craig's List for $75. Should be a fun project! 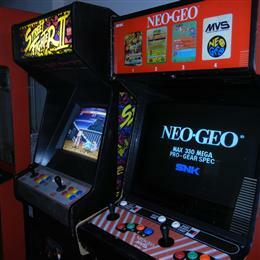 Neo-Geo 4 slot "Big Red." Picked up on craigslist for $400, but it was right down the street from me. It had a reproduction control panel overlay, which I've since replaced, and as you can see, the sides need to be worked on. The front of the cabinet was painted black for some reason, but I plan to restore that as well. Picked this up for my wife so she could 'own' part of the collection as well. She absolutely adores it. 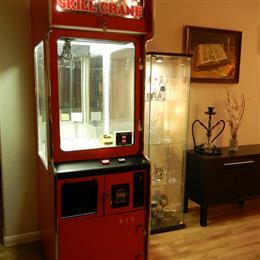 And to be fair, what game room is complete without a crane machine? 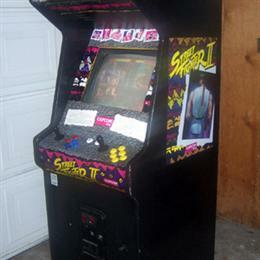 My first arcade cabinet, and forever universal JAMMA cab. This cabinet houses many of my individual collections of arcade boards such as various CPS-I and CPS-II boards, a single slot Neo-Geo, a Sega NAOMI, etc. 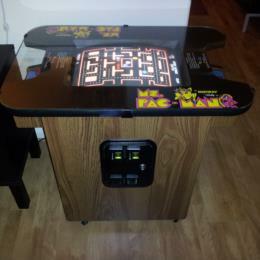 My small collection of arcade games. I have very limited space where I'm living at the moment, but hope to one day have a proper game room. This 'collection' will be used to document individual cabinets I own, as opposed to individual games (ie: Neo-Geo MVS carts, loose PCBs, etc).